Brass Legionnaire going on Sale for the Thanksgiving Weekend! Brass Legionnaire will be on sale this holiday weekend! If you haven’t had the chance to read the five-star reviewed alternative history & steampunk novel, now’s your chance to get this exciting adventure novel for half price! This amazing, one time half-off deal will be available only on Amazon, Barnes & Noble, as well as Apple iPad, Kobo, etc through Smashwords. UT37C – You’ll need this for Smashwords! I know you wonder, why should you purchase my novel? – I’ll let the reviews speak for themselves. I thought this was a great debut novel that gives much promise for the Author’s writing career. It’s fresh, never been done before, and one of those intriguing books one just has to read because it’s such an interesting twist on the norm. The author has produced a really nice piece of “alternate history” fiction, with engaging characters and an interesting plot line. This could (and I hope will) serve as the basis for a whole series of novels. On the strength of this work, I would certainly purchase the next installment. If you want even more reviews, check out the reviews on Amazon! 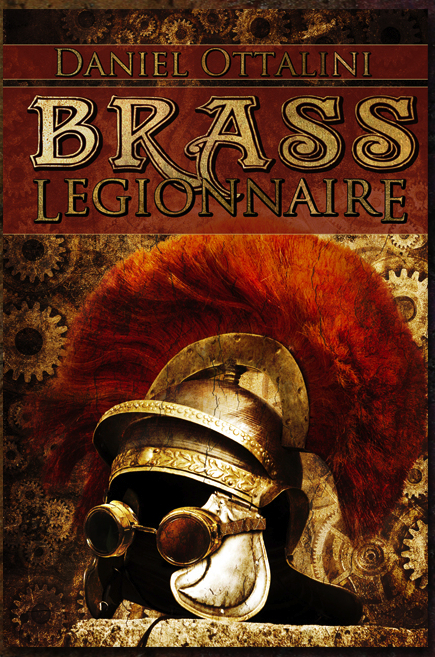 Brass Legionnaire is the perfect gift (paperback or ebook) for the Steampunk lover, book reader, or History buff in your family!